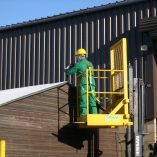 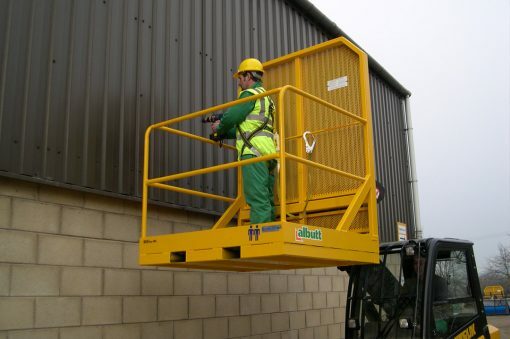 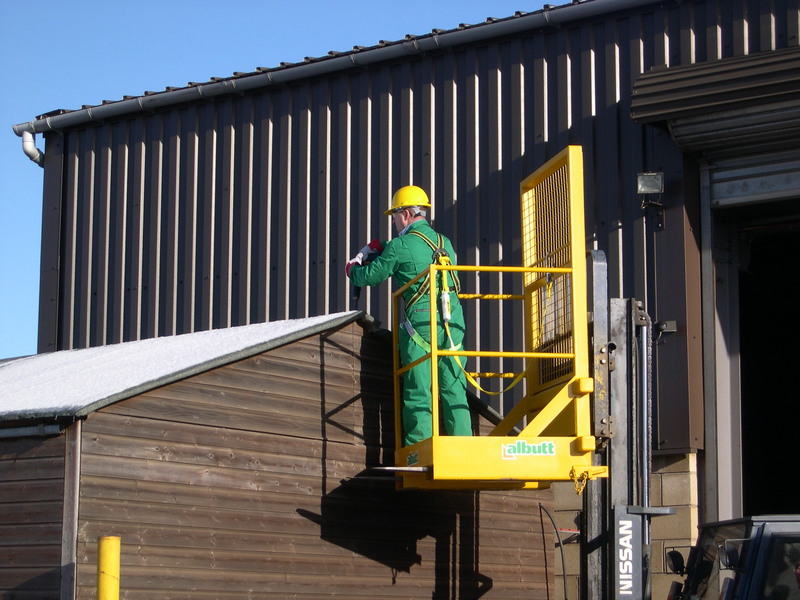 The Albutt Man Platform range is manufactured to meet the requirements of HSE AIS28 guidelines and comes complete with a SWL test certificate (LOLER 1998). 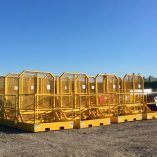 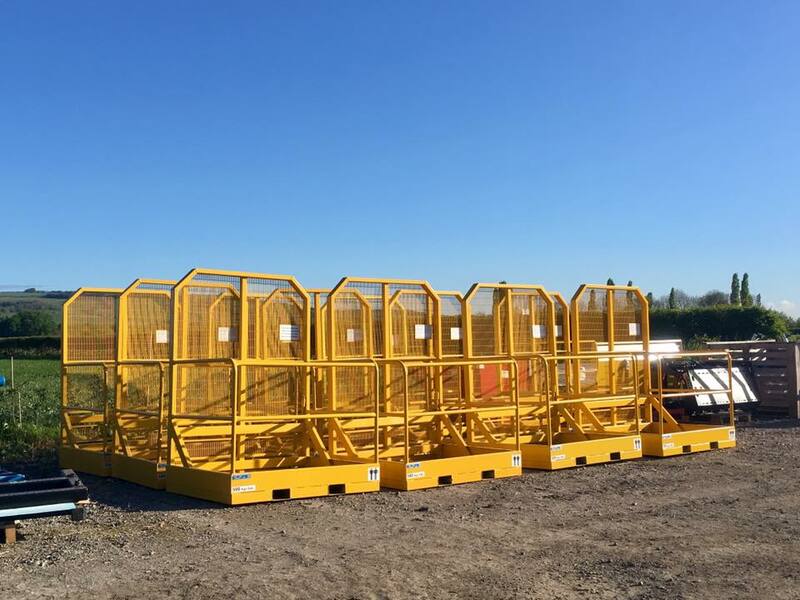 A sturdy high impact construction hosts all the features required by PM28 guidelines including weldmesh back guard, barriers and guards, integral harness rail, non slip floor with drain holes, kickboards and high visibility yellow paint finish. 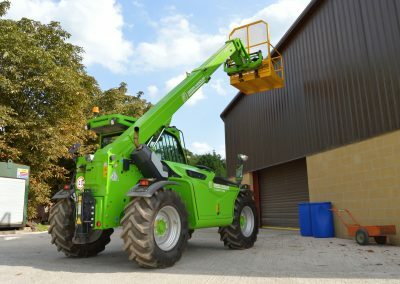 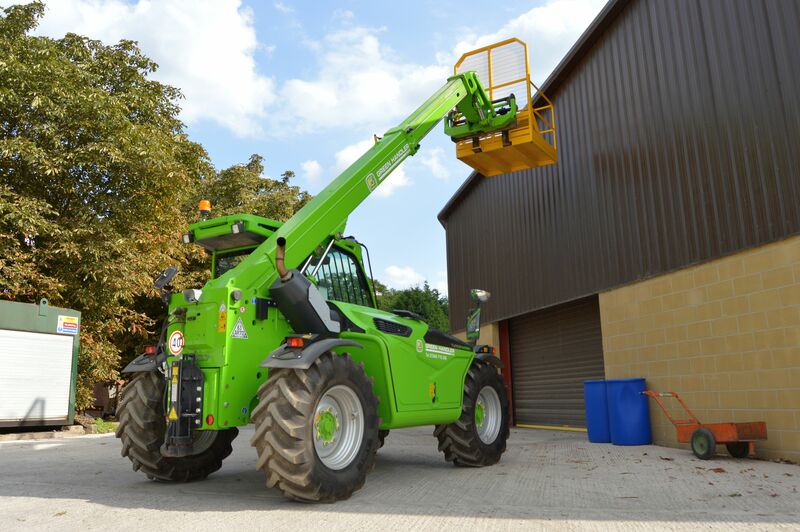 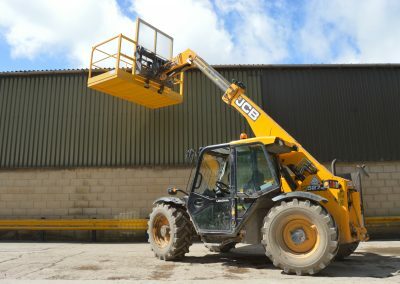 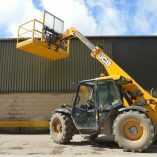 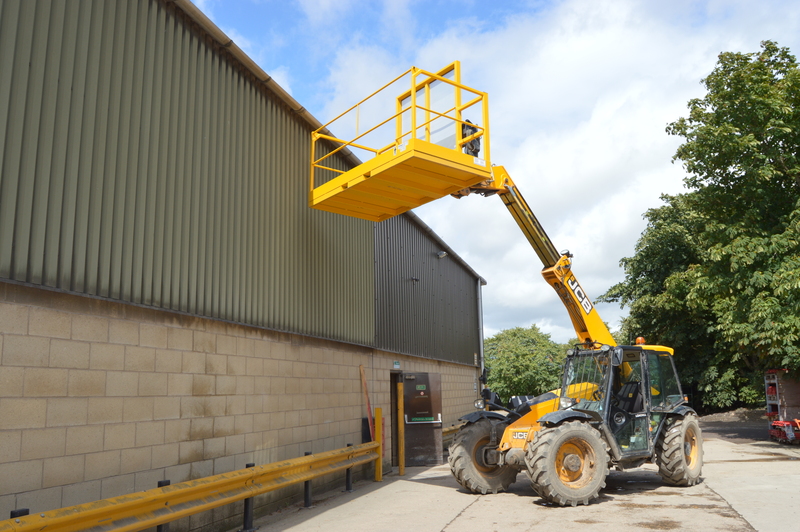 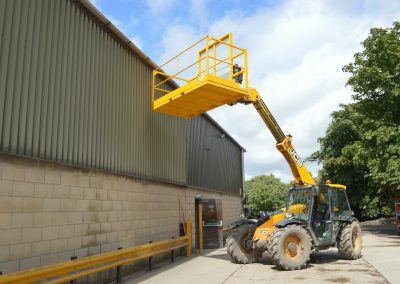 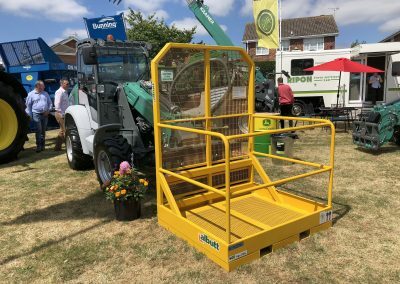 A high back means the platform can be used on a variety of machines, from Telehandlers to masted Forklifts. 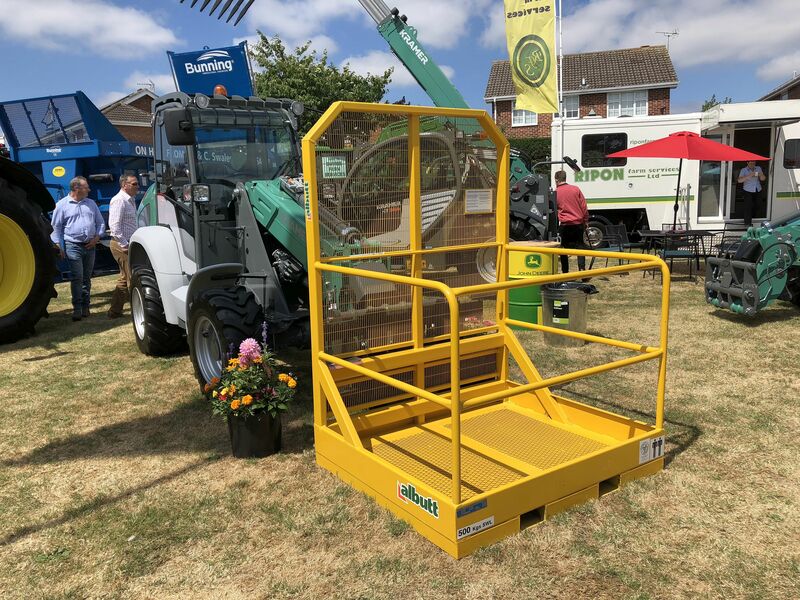 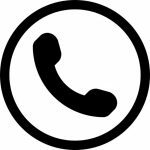 All models come as standard with fittings to fit onto your machines pallet forks and bracket fixings can be added on some models.